It’s yet another Wednesday, and we are bringing you yet another rumor about the Galaxy S5. This time, however, it’s not about the chip set – luckily, those rumors have cooled off for the time being. No, this time we finally have something different to share with our loyal readers. Nevertheless, the fact that every day that passes a new rumor surfaces means that fans are just itching to get their hands on the as yet unannounced devices – and apparently they have good reason to feel this way. Today’s rumors come to us via the International Business Times and Geek.com. According to their various sources, the Galaxy S5 will boast a 16-megapixel camera and the screen will boast a huge increase in the number of pixels per square inch. While we all no doubt thought that Samsung’s ability to get 441 pixels per square inch into the Galaxy S4’s display was pretty darn amazing, and made viewing anything on it a dream, Samsung has apparently figured out how to pack a bigger wallop with the S5. 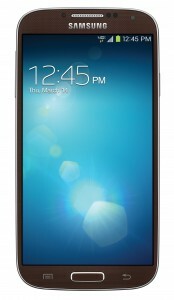 According to Geek.com, the Galaxy S5 will boast a whopping 560 pixels per square inches in its 2560 pixel by 1440 pixel WQHD display – a whole 120 more pixels per square inch more than the S4. The thing we find interesting is that Samsung has figured out how to do this on the presumed 5-inch screen size of the upcoming S5, while Apple has packed in just a bit more into the newest MacBook Pro, which comes with either a 13 or 15-inch display size. The thing is that when the Galaxy is finally released, if you put the two screens side by side, the Galaxy will no doubt have a crisper feeling to it than the MacBook Pro does, since the Galaxy is packing almost as many pixels into a device less than half the size of the MBP. It will no doubt change the way we look at things on our respective devices forever. According to the International Business Times, the Galaxy S5 will sport a 16-megapixel camera. Why is the IBT all of a sudden reporting this to the world? According to the IBT report, Samsung just finished ordering just over 1.8 million 16-megapixel modules, all of which feature the Optical Image Stabilization we told you about previously. The report about the Galaxy S5 camera comes via ETNews.com, and though they do not mention from where Samsung ordered the modules, the report does mention the fight between Samsung LSI and Sony in a bid to supply the technology for the upcoming device. If you combine the fact that we know Samsung LSI has the ISOCELL technology we told you about with the fact that Samsung ordered the 16-megapixel camera modules, what you get is speculation that Samsung’s bid is likely to be accepted over that placed by Sony. While the company that supplies the camera probably won’t make much of a difference with fans, it is likely that Samsung might want to keep the technology in-house by pairing it with the company’s own Exynos 6 CPU the Galaxy S5 will sport. Will Samsung or Sony supply the 16-megapixel camera on Galaxy S5? Let us know in the comments below! I’m eager to get it !!! Jan 2014 available ?